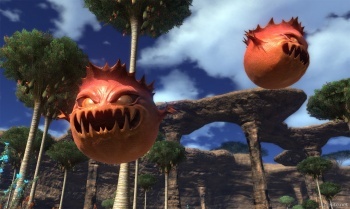 Square Enix is working on a new big-budget MMO it'll announce by early 2012. Square Enix may have slipped up with the launch of Final Fantasy XIV, forcing massive changes and a continued lack of subscription fees, but it's not giving up in the MMO space. A transcript of a recent Square Enix earnings briefing reveals that the company has another MMO coming down the pipeline. Square Enix is putting a "heavy investment" into the unannounced title. A translation of the report calls the MMO "large-scale," but offers no details regarding whether it's based on an existing franchise or if it'll be something totally new. Square Enix CEO Yoichi Wada said that the company hopes to operate 2-3 MMOs of a significant caliber at once to bring in a regular, stable flow of funds. It continues to support Final Fantasy XI in addition to Final Fantasy XIV, so the new MMO would presumably be the third. The mystery game will be announced by the end of Square Enix's upcoming fiscal year, which ends on March 31, 2012. Square Enix could reveal it at E3 2011 in early June, but that seems awfully early in light of recent Final Fantasy XIV trouble. Then again, if it's a Deus Ex MMO, I don't think anyone will care.